If you are trying to sort out the inheritance of property or money located in Italy, this can be a daunting task, especially if you do not speak Italian. 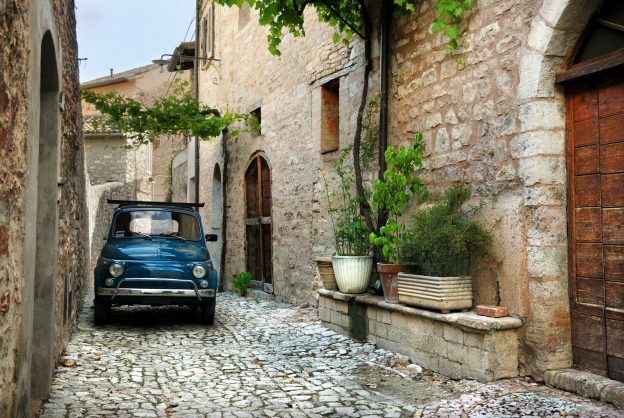 The Italian assets may be due to be inherited in accordance with a Will or the Italian intestacy rules , but either way you will need to understand what the inheritance procedure in Italy is and who will inherit the Italian assets. So what is the Italian inheritance and probate procedure? What do you need to do if you are dealing with an estate of some who died with assets in Italy? and is it really necessary to instruct an Italian lawyer to deal with inheritance of an Italian estate? Here’s a little bit of guidance…. I am dealing with an estate administration where there are assets in Italy, what should I do? If you are a beneficiary, executor or solicitor dealing with an estate in Italy, you will need to undertake the probate procedure in Italy in order to arrange for the deceased’s property, shares, money or other belongings to be passed to the beneficiaries. This requires the beneficiaries of the Italian estate to obtain a document called Dichiarazione di Successione (Italian Certificate of Inheritance) which is the Italian equivalent of a Grant of Probate document and this confirms the entitlement of the beneficiaries. Where a person dies owning assets in two or more countries, it is usually necessary for probate or the equivalent document to be obtained in both or all countries where assets are located. What is the Probate procedure in Italy? Regardless of whether or not the deceased had an Italian Will, an application for Dichiarazione di Successione (Italian Certificate of Inheritance) is required to be filed by the beneficiaries with the Tax authority in Italy (Agenzia delle Entrate). Details of the inherited assets. Details of the payment of taxes by the beneficiaries. The original or legalised copy of the Will if there is one, (translated into Italian if not already in Italian). Once this application has been submitted, the Italian tax authorities will request that the beneficiaries pay any taxes due. Usually, taxes will include Italian inheritance tax and, if the inherited asset is a property, property transfer taxes (imposta ipotecaria and imposta catastale). The amount of Italian inheritance payable by each beneficiary will depend on the value of the assets inherited and the relationship of the beneficiary with the deceased. Property Transfer Tax does not normally exceed 3% of the value of the Italian estate. If the debts and liabilities of the deceased exceed the assets, the heirs may refuse the inheritance. Who can apply for probate in Italy? It is the beneficiaries who usually apply for the Italian Certificate of Inheritance. Any of the beneficiaries, or the Executor of the Italian Will (if one has been appointed), can instruct an Italian Lawyer or a Notary to make the application. The costs of the probate in Italy is usually paid out the estate but deducted pro-rata from the amount of inheritance each beneficiary receives. Who inherits an Italian estate? Italy has forced heirship rules which means that a certain proportion of the estate must be inherited by certain relatives (these including the spouse, the children, and, under certain conditions, the parents of the deceased). The portion of the estate that must be transferred to these protected beneficiaries “forced heirs” varies according to the number and relationship of the heirs to the person who has died. If the portion that is reserved for these beneficiaries is not respected, they can use a specific legal action called a claw-back action (azione di riduzione) which enables them to claim their reserved portion of the estate. The rights of these beneficiaries under Italian law remain regardless of the contents of a will unless the laws of another country apply to the succession of the estate for example in accordance with the EU succession regulations that came into force in August 2015. This area can be quite complex and it is highly advisable for people to seek advice from an experienced lawyer about this. Contact Worldwide Lawyers if you would like details of a recommended lawyer who can assist. Is there a deadline for applying for the Grant of Probate in Italy? The application for the Italian inheritance certificate should be made within one year of the death of the deceased. If the application is made after this time, there may be fines for late submission. Do I need to instruct an Italian lawyer to deal with inheritance of property or other assets in Italy? Italy has a fairly complex and paper heavy probate procedure. Many different documents are required to be submitted and different rules may apply – especially if some or all of the beneficiaries of the Italian estate are not Italian. In most cases where a person dies with assets in Italy, the executor, beneficiaries or non-Italian solicitors dealing estate are strongly advised to instruct an English-speaking Italian lawyer who specialises in Italian succession and Italian probate matters, especially if you do not speak Italian fluently. There may also be taxes to pay, deadlines to meet or parctical issues such as how to deal with the inheritance of a car in Italy. An experienced Italian lawyer will be able to advise you how best to deal with these issues as well as the other aspects of the administration of the estate in Italy. An English-speaking Italian lawyer will also be able to explain to you the applicable Italian succession laws, advise you as to who is entitled to inherit the Italian assets and also explain the obligations of each person to ensure that the inheritance is dealt with correctly and no complications or issues will arise further down the line. If you would like further information or a recommendation for an English-speaking Italian inheritance lawyer Contact Worldwide Lawyers on 01244 470 339 or at info@worldwidelawyers.co.uk.